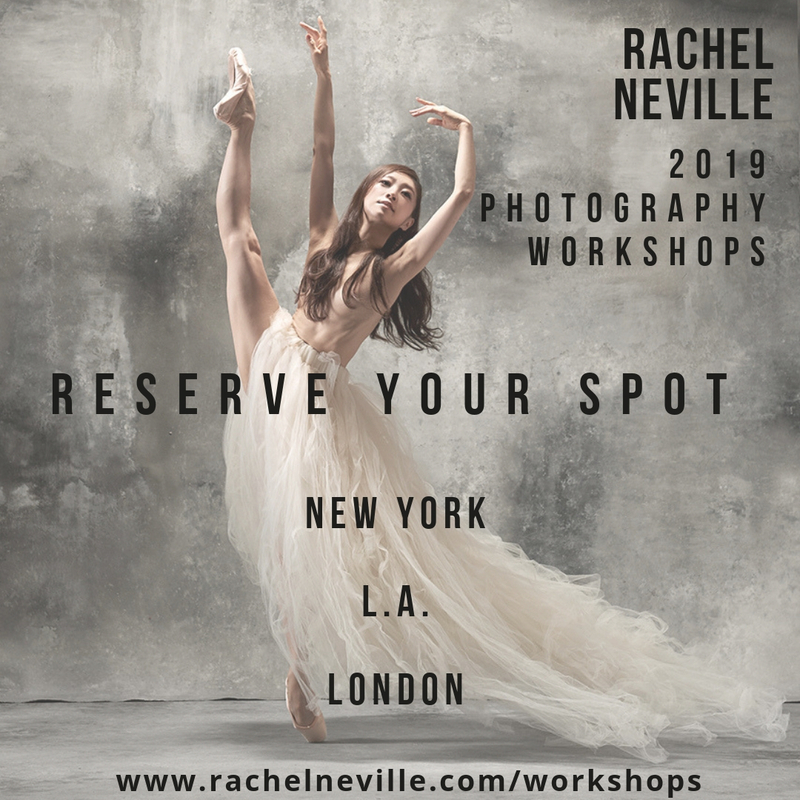 Next week US-based dance photographer Brian Mengini arrives in London to work on a photo project with dancers from English National Ballet and The Royal Ballet. 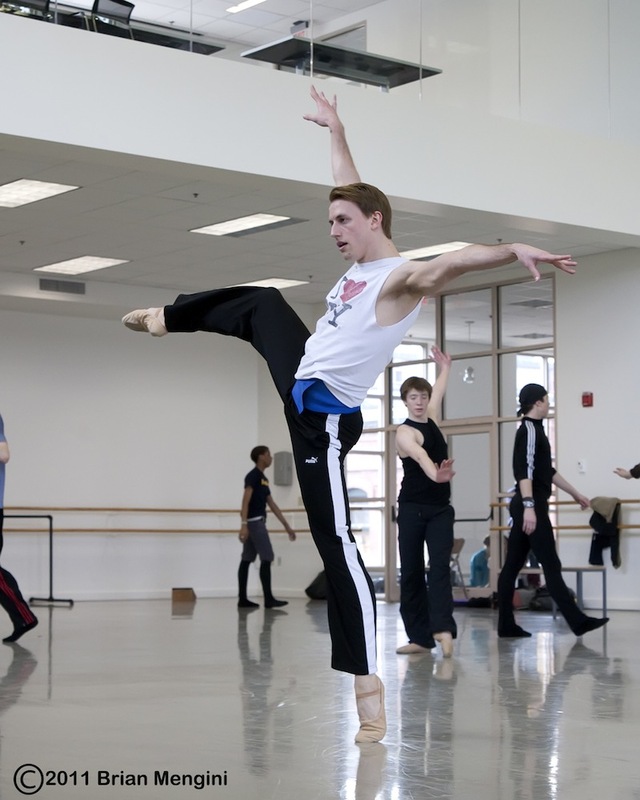 Brian lives in Pennsylvania and often works with the Pennsylvania Ballet and Boston Ballet. 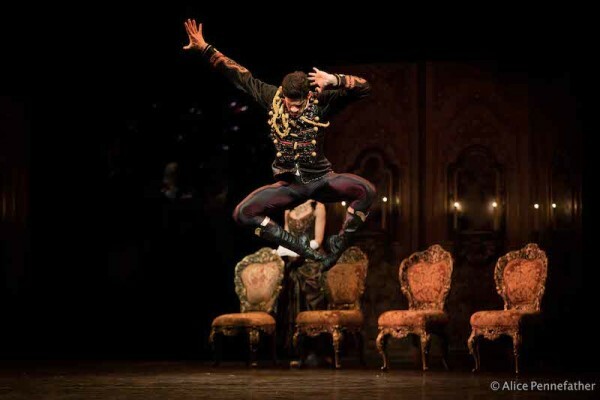 He has been photographing ballet ever since he had the opportunity of shooting The Royal Ballet in 2007. The majority of his work is steeped in dance, but he does take on other commissions like band & concert photography. Brian also has a passion for journalism. 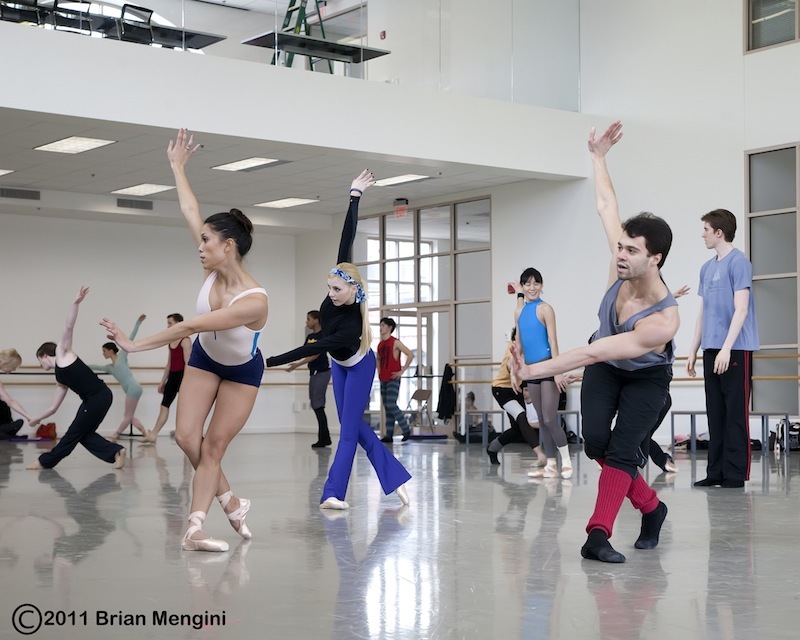 In this guest post he shares his thoughts on shooting Boston Ballet‘s rehearsals for Balanchine’s Divertimento No. 15 and the ELO Experience: a two-hour showcase of dance by resident choreographer Jorma Elo which featured a medley of 15 of his works. 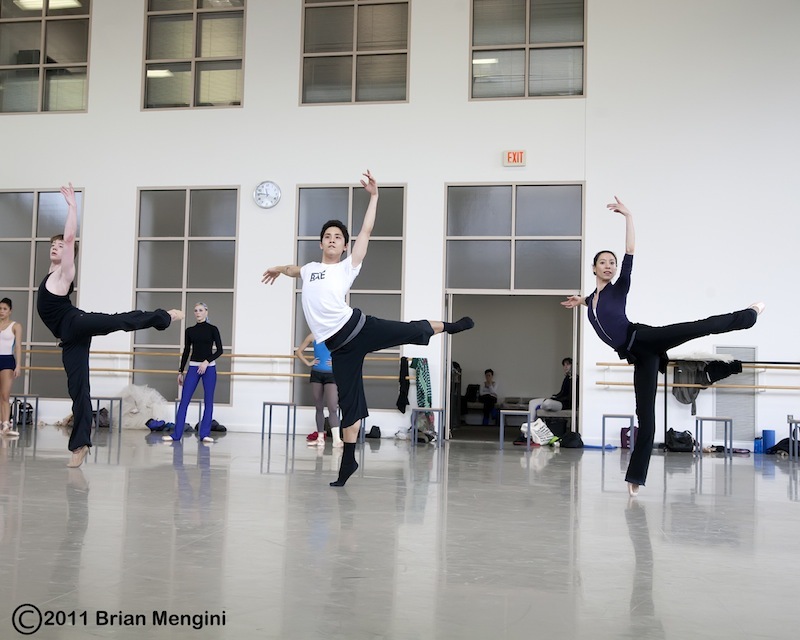 Back in March, I went up to Boston to work on some projects with some of the dancers from the Boston Ballet. 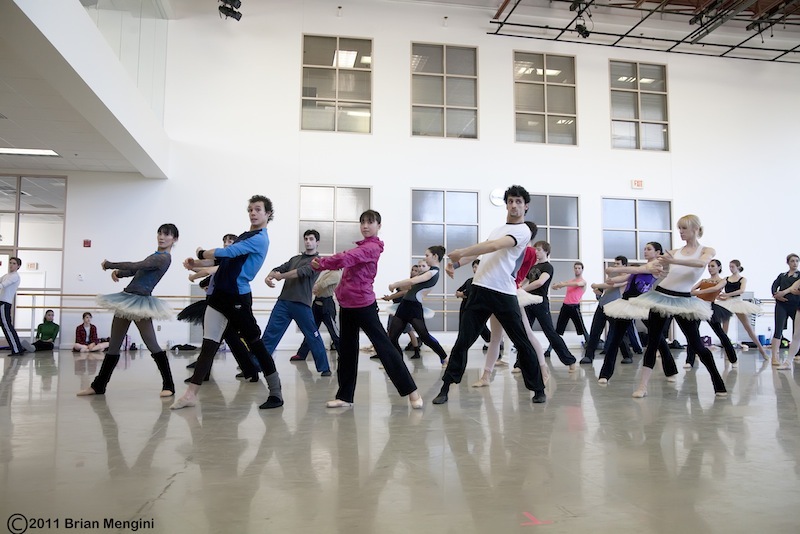 During my first day there, I had the opportunity to sit in on and capture the company’s rehearsal. 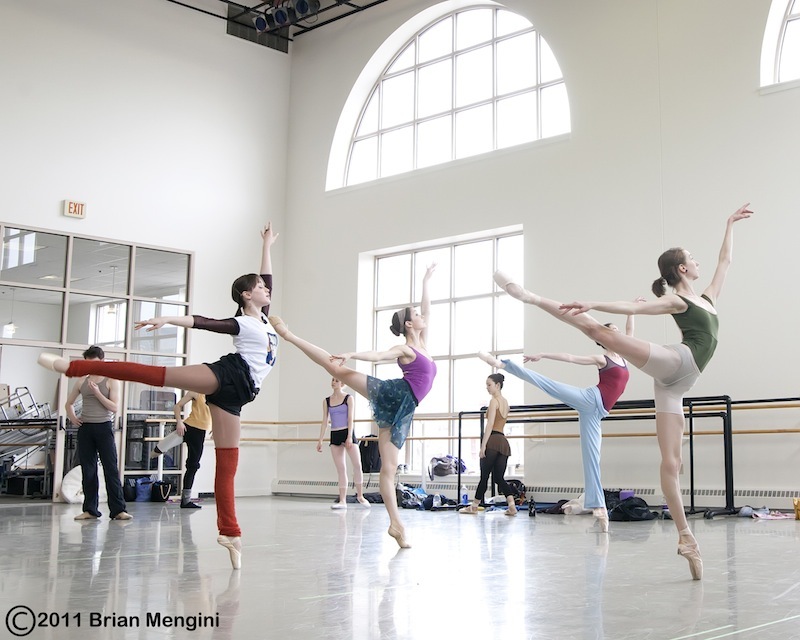 They were in preparation for Balanchine‘s Divertimento No. 15 and the much anticipated, ELO Experience. 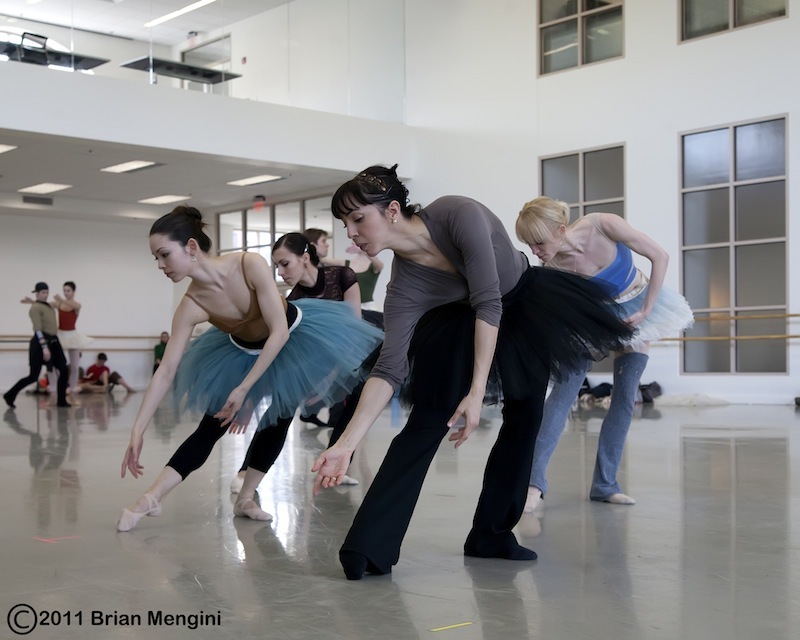 Jorma Elo is Boston Ballet’s resident choreographer as well as long time friend of Artistic Director, Mikko Nissenen. It was a long day (from the morning – right from the airport to the studios – until 8pm or so) but very exciting. I am a fan of Balanchine but was mesmerized and just astounded by the high energy, the quirky yet amazing choreography from the ELO Experience. It was so fast paced, with so many different things going on at once. Jorma has a presence and I was in awe to say the least. It was just awesome being in the same room with him, watching him gaze at these amazing athletes embracing his choreography. 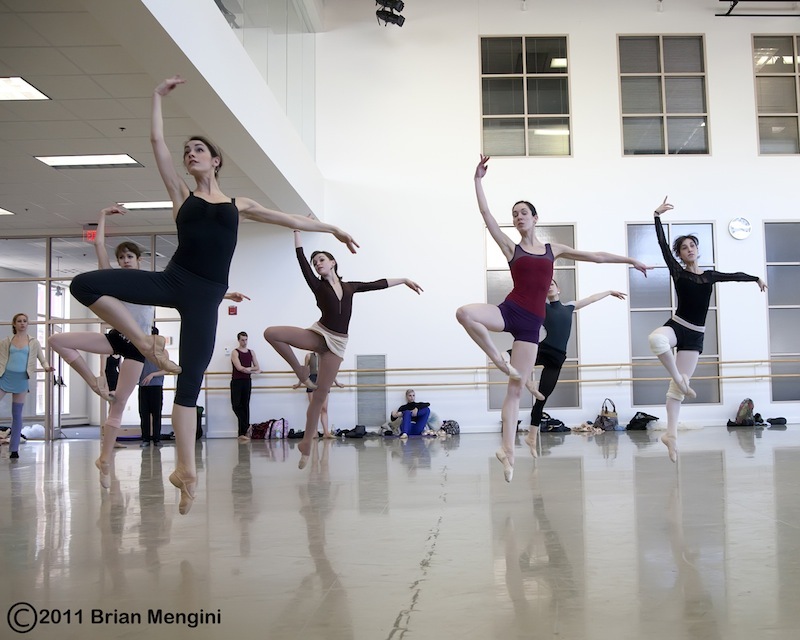 The company had lots of visitors in studio watching this full rehearsal. They were coming in and out, including the production staff, marking things for the upcoming run. So with this, I tried to stay as far on the outside perimeter as I could, so as to not be in anyone’s way. One thing that always amazes me is how well Boston Ballet dancers are able to adapt to a variety of styles and do so with tremendous skill. This definitely speaks to the level of talent under Mikko’s guidance. As always, it was a fun and full trip. Sadly, I was not able to get back up to see the run of ELO, but I heard amazing things about it. Photographer Brian Mengini resides in suburban Philadelphia and keeps a studio in Phoenxiville, Pennsylvania. 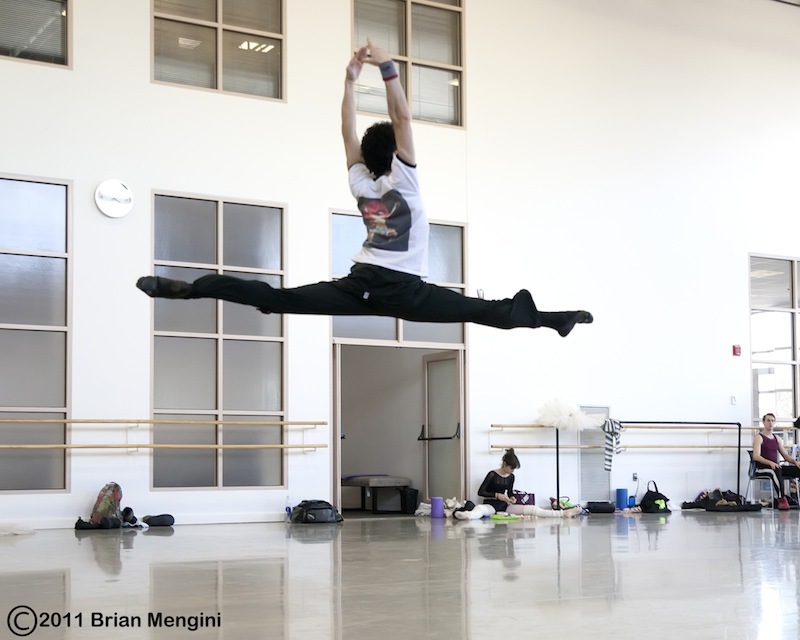 Brian’s unending passion for ballet came in the summer of 2007, when the Mann Center asked him to come in and shoot the Royal Ballet’s final performance of Swan Lake. 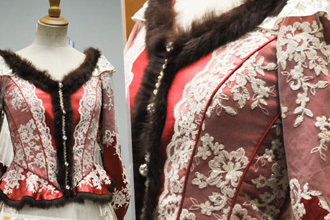 Since then, his images have appeared in a variety of exhibits and publications including Pointe Magazine and Dance Magazine. 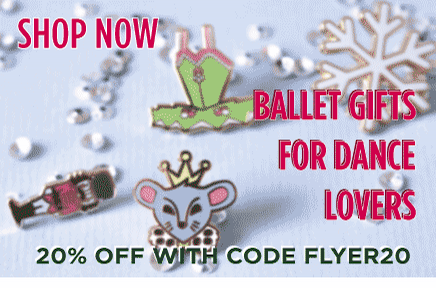 In June of 2010, Brian started Barre Boys, a website dedicated to the male in ballet with a goal of squashing stereotypes and inspiring more males to pursue ballet. Together with his wife, he has launched Hope Dances, a nonprofit dance outreach program for children with special needs. Great pictures, looked like fun. 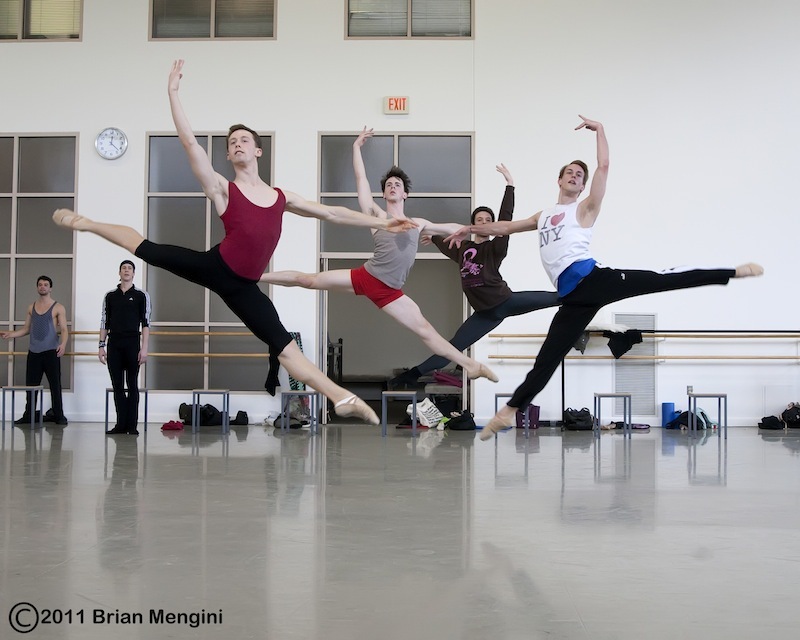 If u missed it last wk -> Guest post: Brian Mengini shares his experiences snapping @Bostonballet dancers: http://t.co/ZC01CLs LOTS of pics! Beautiful!! Every single dancer and photo! Just beautiful! 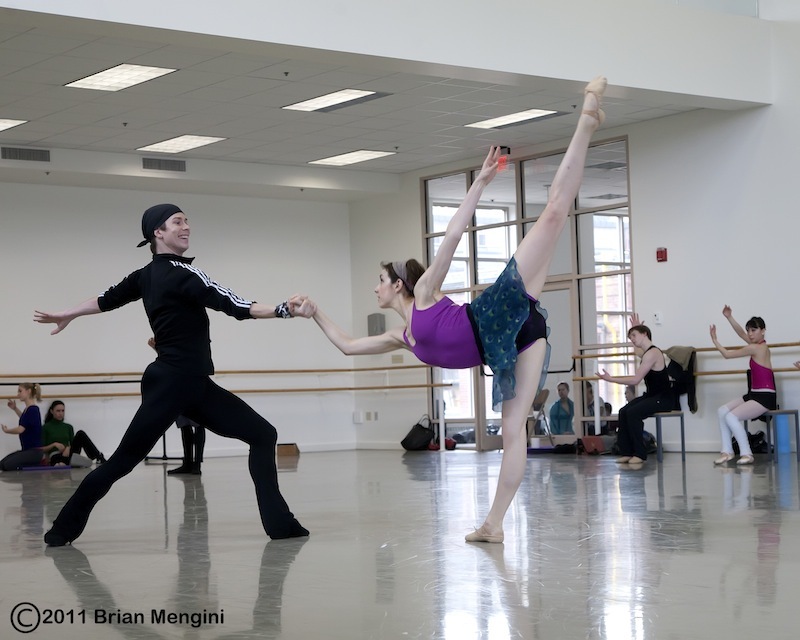 New guest post: Photographer @brianmengini shares his experiences snapping @Bostonballet dancers: http://t.co/ZC01CLs LOTS of pics! This rehearsal was amazing. Would definitely go again. Thanks for the heads up Myrto, we have corrected the caption accordingly. The woman in the first photo is definetely Whitney Jensen.